When considering acquiring a piece of art, the cost of framing is a significant contributor to the total expenditure. Nice framing could add hundreds of dollars to the cost. This usually means that college students and those with their first apartments are stuck with posters and thumbtacks. Online custom framing has brought the cost into an affordable range. Here are some options. Simply Framed frames anything – prints, posters, diplomas, textiles, any and all memorabilia in a straightforward, easy to understand process. All their frames are made to order. They are priced by size – length & width. If you request matting they size up to the next size frame. They have 24 frame styles to choose among. The mats are various shades of white (they believe colored mats limit where you will be able to hang your piece). All the mats are archival and acid-free. They use plexi-glass because it gives the most UV protection. It is also lighter and less breakable. You send them your work of art and they return it to you ready to hang. Prices start at $65.00 for sizes up to 8” x 10” with no mat which includes the tube or mailer and a return shipping label. Note: They offer design advice online if you can’t quite decide on a frame or a mat. Choose the size frame you want. Select a style & mat. 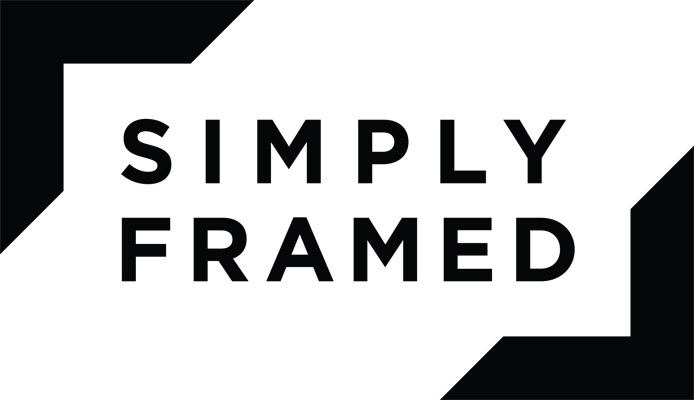 Simply Framed will then send you a tube or mailer for your piece. Return your piece to be framed in the tube or mailer. They make your custom frame, frame your piece and send it back to you. They hope you are very happy! Framebridge will also frame your piece and send it back to you ready to hang. You can upload a photo of your piece and see what it would look like in a variety of frames. If you want to frame a photo from your camera, phone or Instagram you can upload directly to their site. Prices are based on the size of what you’re framing. A framed Instagram mini is $39.00. Extra large (32” x 40”) is the most expensive at $159.00. Their process is similar to Simply Framed. After you place your order, a tube will arrive that you return with your piece inside. After around a week, your piece, fully framed, is sent to you, including the hanging hardware. Mats are acid-free and come in many colors. Designers are available to create 4 possible framing options for free if you aren’t sure what you want. Framebridge offers special gallery wall expert advice for $99.00 which includes a credit toward what you have framed. Framed and Matted offers a do-it-yourself option with custom framing. Design your frame and mat and put it together yourself. They have a ‘design expert’ you can email back and forth with. If you need the artwork mounted for you they will charge an extra $30 – $40. The DIY option range is $59.00 – $139.00. The custom framing and mounting range is $65.00 – $250.00. There are 16 frame styles and 30 mat colors to choose from. They will send you samples if you aren’t sure. They promise a 2-day turnaround for the DIY version. Having them frame for you takes about a week. They make and ship your custom frame if you have gone the DIY route and you mount your artwork and hang it. If you went the custom framing and mounting route your framed piece will take a week to arrive. Art To Frames is based in Brooklyn where all their products are handmade. It is only a Do-It-Yourself for frames and mats – they do not frame for you and send you the final product. I think the website looks complicated but my daughter used Art to Frames and said it was very easy. They offer several services in addition to the frames (with or without mats) that they send to you. They also offer collage framing, custom bulletin boards, acrylic prints and canvas wraps. There are over 300 frame styles. Mats are offered in black or white and 55 other colors. They are acid free. The canvas wraps and acrylic prints look wonderful. Frames with mats start at $24.00, collage frames start at $23.00 and custom bulletin boards start at $33.00. I have known Chrissy of Framed and Matted since her UVA days. She has a wonderful eye and aesthetic sense and her company does top of the line work. I would highly recommend the firm. Maxine – Thank you for that information! I’m putting it on the article. Very helpful. It’s awesome that this article talked about customized framing! My favorite part of this article is the process being taught so simply and artistic. I can do this not only as a hobby but to design our home as well and my next step would be searching for affordable cute frames online.